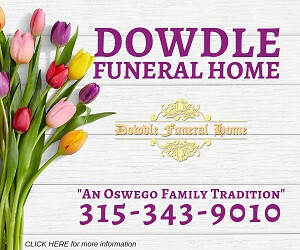 James William Nagel, 61, of Syracuse, died March 17th, 2019 at home. Born in Oswego, he was the son of the late William and Mary (Thompson) Nagel. James was employed by Nestle as an operator. He also served in the United States ARMY from 1975-1976. He enjoyed physics, electronics, and had a talent for building things. He was also a Cannabis Connoisseur. He was a trusting man, who had a loving heart, and loved his family. He loved to laugh and was known for his sense of humor. He enjoyed practical jokes and pulling pranks. He is loved and will be deeply missed by many. Surviving are his two daughters, Sonia (Jason) Powell of Oswego and Cassandra (Steve) Boyer of Oswego; three sons, James W. Jr. (Erica) of Oswego, Sean (Crystal) of Fulton, and Christopher of Oswego; brother, Benson Nagel, and sister, Rebecca Ingersol; and thirteen grandchildren. In addition to his parents, he was predeceased by his loving wife, Sonia and a sister Penny Nagel. Calling hours will be from 4:30-6pm on Monday, March 25th at the Nelson Funeral Home 11 West Albany Street. A graveside service with Military Honors will be held in the spring at Fairview Cemetery.